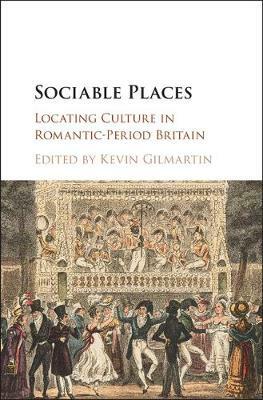 Ranging across literature, theater, history, and the visual arts, this collection of essays by leading scholars in the field explores the range of places where British Romantic-period sociability transpired. The book considers how sociability was shaped by place, by the rooms, buildings, landscapes and seascapes where people gathered to converse, to eat and drink, to work and to find entertainment. At the same time, it is clear that sociability shaped place, both in the deliberate construction and configuration of venues for people to gather, and in the way such gatherings transformed how place was experienced and understood. The essays highlight literary and aesthetic experience but also range through popular entertainment and ordinary forms of labor and leisure.